Danny Ha works with The Jerde Partnership’s design principals to design projects from concept through completion. 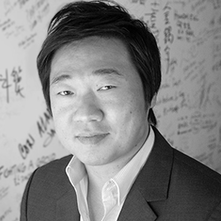 Danny, who was born in Seoul and is fluent in Korean, plays an instrumental role in the firm’s many Korea projects as chief liaison coordinating communications between the Los Angeles-based designers and Korea-based clients, executive architects and other project stakeholders. Since joining the firm in 2002, he has worked with prestigious clients, including Seoul Metropolitan Government, Samsung Corporation and Konkuk University, MBC, GS E&C, SK Construction, and Daewoo Motors. Danny has worked as senior project designer on several major mixed-use projects throughout Korea that are either in detailed design stages, under construction, or recently completed, including Mecenatpolis in Seoul, The City 7 Project in Changwon, Star City in Seoul, Daegu Entertainment Project in Daegu, and several others currently in early design phases. Danny joined Jerde in order to practice the firm’s signature approach of designing places that are defined as much by intangibles, such as experiences and memories, as they are by tangible architecture. He previously worked for renowned Korean-American architect Hak Sik Son, AIA; and landscape architecture firm Nancy Goslee Power and Associates.